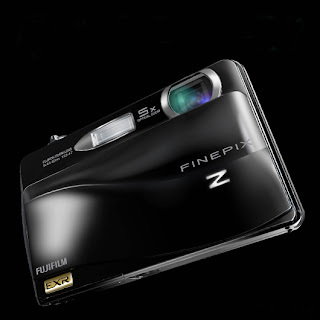 The FinePix Z700EXR makes its presence felt with a slim full metal body and a full-sized touch interface. It comes with an acceptable 5x optical zoom, a standard 35 mm lens, and an effective resolution of 12 megapixels. Its 3.5-inch touch screen is responsive and accurate, and the dual direction GUI rotates to either portrait or landscape view. Apart from 15 scene modes, the Z700EXR features a film simulation mode. There is also a touch and- shoot function that lets you focus on the subject before shooting. Strangely, the manual mode doesn’t allow the aperture or shutter speed to be changed. in maintaining color and saturation. Color is neither too vivid, nor too dull, but there is some color bleeding evident. There is a certain amount of loss in sharpness when it comes to capturing finer details, but overall sharpness is well maintained. Night shots are good too, but nothing to write home about. The Z700EXR’s macro range is a real disappointment, with a minimum shooting distance of 5.5 cm. The camera takes decent still images, but fails in terms of video recording. With a price tag of Rs 13,999, it’s not a camera we would recommend, as the Sony DSC-W360 and DSC-W380 perform at almost the same price. Nokia and Microsoft now partners!